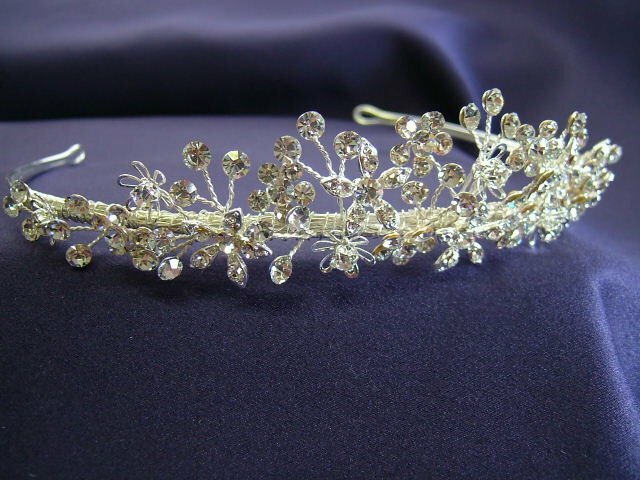 Warren York silver tiara with diamante flower formation. Low level band - 2.5cm at hightest point. Very sparkly!